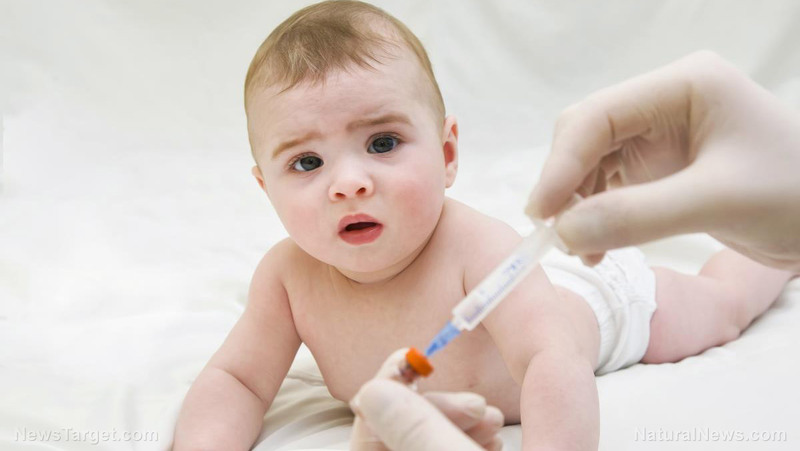 Do you know the vaccine schedule for newborns and infants in the United States? 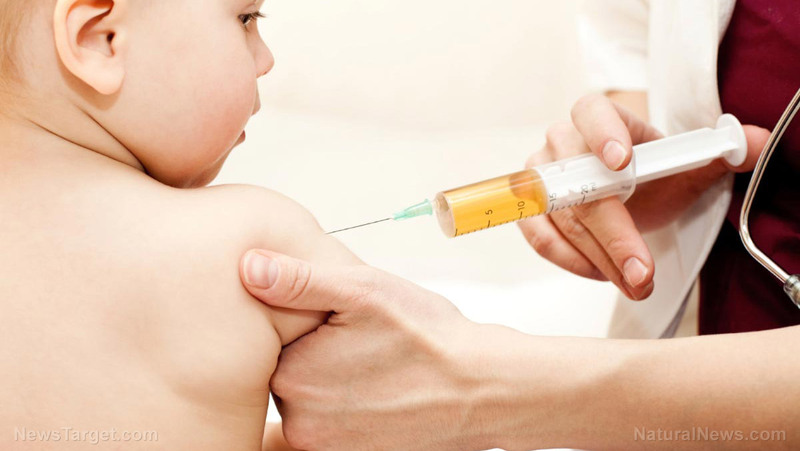 In 2017, there are currently 27 doses of 11 different vaccinations that are currently injected, or orally dispensed, to children up to fifteen months of age. All of these are approved and recommended by the Center for Disease Control (CDC). These vaccines include Rotavirus (RV), Hepatitis B, Influenza, Measles, mumps, rubella (MMR), Tetanus, diphtheria & acellular pertussis (Tdap), just to name a few. The complete list can be found here. All of these vaccines that your pediatrician willingly supplies to your new baby allow foreign and toxic substances to flow into their bloodstream and brain causing unknown damage. In 1950, as reported by VacTruth.com, a child would only receive “7 vaccines by the age of 6.” In 2013, by the time a child was six years old that number shot up to 36. That’s an increase of 414 percent! How much did the profits of pharmaceutical companies rise in the last 67 years? We can only imagine. But the parents of children injured by this ever multiplying number of required toxic vaccinations don’t always fare so well. WakingTimes.com reports that during the first half of the current fiscal year, $142 million was awarded to 337 vaccine injured families who had the tenacity, support and appropriate documentation to claim damages in the Vaccine Injury Compensation Program (VCIP). That seems like a paltry sum compared to the enormity of damage and pain that families have endured at the behest of pharmaceutical companies. While there have been many payouts from the court, the majority of families affected by vaccines do not receive the justice they deserve. There are untold vaccine injured families that couldn’t get the support, the documentation, the right representation or the funds they needed to fully prepare their case in order to bring it in front of the court for consideration. One tragic example of this is the case of little Aysia Hope Clark. 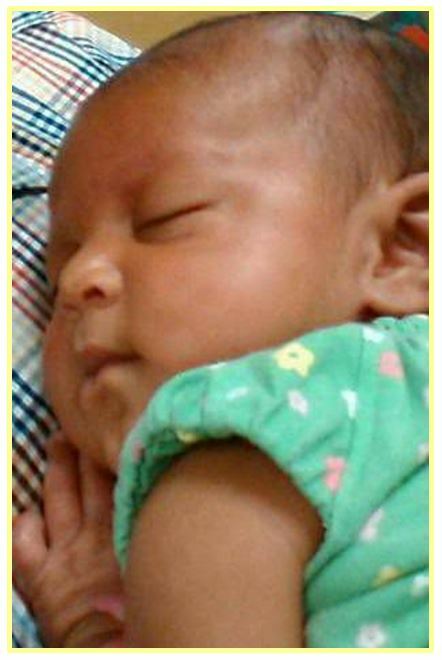 Aysia was the daughter of Louisiana residents Hope Doucet and Joseph Clark. She was born on May 11, 2015, and sadly, died on July 4, 2015. Similarly, the Vaccine Injury Compensation Program compensation numbers are, not only not reassuring, but, frankly astonishing, and should give not just all parents, but all people in general, serious pause. If vaccines are “safe and effective” as our medical practitioners and politicians constantly tell us via mainstream media outlets, then why are there already over 370 compensated cases in fiscal year 2017? Why is there a running payout total from 1988 up to now of “around $3.6 billion,” according to the US Health Resources and Services Administration? Why are we not seeing any double-blind randomized controlled trials with true placebo groups demonstrating clearly and honestly that flu (or other) vaccines are safe and not causing children any harm – as well as being “effective”? Until 2005, based on the HRSA document, the ONLY petitions filed for flu vaccine injuries were on behalf of injured children. Where are those safety studies again? Where are the weight adjusted doses again? 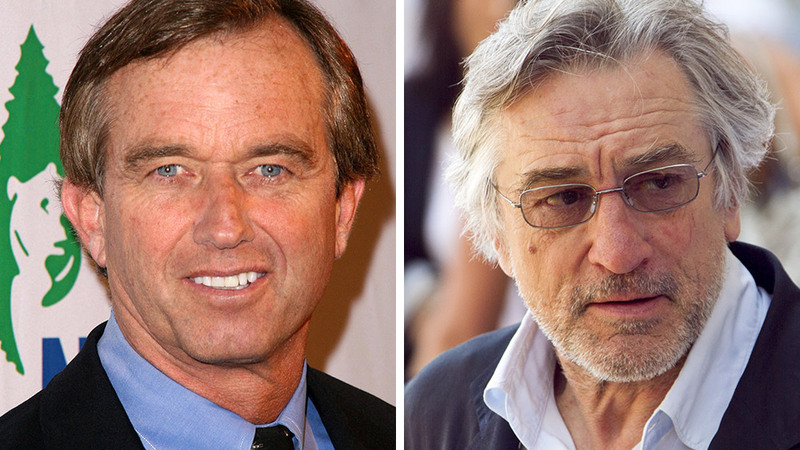 Why isn’t anyone taking up RFK Jr’s $100,000 mercury challenge if mercury-containing vaccines are so demonstrably safe? Why, why, why, Mr Anderson? This doesn’t look good at a time when proponents of removing freedom of health choice are campaigning for “no jab no fly” policies that would prevent much of Australia from functioning (particularly economically). This fear-mongering and vaccine hysteria is all the more absurd when one pauses to consider that in Australia, as in the US, the clear majority of adults are FAR from being “up to date” with their shots – and have been for decades. We simply don’t worry about it. And yet, the much-feared epidemics never seem to materialize. In fact, most outbreaks seem to follow in the wake of intensive vaccination campaigns – but that’s just a coincidence, right? Just as it’s a coincidence that within hours of getting your baby home from the doctor’s surgery they were seizing, turning blue, and in the nascent stages of encephalopathy…Right? You also need an attorney to file on your behalf. And did you know that injury claims may take from two to ten years to resolve through the VICP? Imagine being a bereaved parent and pondering that life-sucking prospect. The system is very clearly weighted against any kind of justice for vaccine-injured people. This is why I say that nearly 1-in-3 cases receiving compensation so far is actually quite an achievement – all things considered. You may support blanket vaccination on the way IN to the doctor’s surgery, but you may not support it so much when your child is brain-dead (or just dead) 72 hours later. It happens. I personally know many vaccine-injured people – so many I’ve lost count. My partner is one (thank you very much, Gardasil). The media hides it. Politicians lie about it. Doctors parrot fallacious medical dogmas without thinking. Big Pharma continues doing what Big Pharma does best: poisoning us while we pay them for the privilege. The x-factor is YOU, the wild card, the ghost in the machine, the one who can stop, think, and say “NO.” You have the power to recognise something that doesn’t make sense and to try a different way – and if you have children then, more to the point, you have the responsibility. Next fiscal year, let’s aim for $0 in compensation payouts through 100% non-compliance – meaning no vaccine injuries and deaths at all – and a public that understands REAL disease risk and how to actually be resistant and robust rationally. Wouldn’t that be something? I’ve covered this subject in various ways. Here I’m going to use a Q & A format to highlight vital points. Q: What do people need to know about names for diseases? A: A disease-label of any kind is something you need to look at the way you’d look at a scorpion on your porch. A: Because the label is meant to make you think there is a specific condition. Q: Isn’t that the case? A: Not necessarily. For example, autism. Q: Isn’t autism a specific condition? A: Well, start with this. There is no defining diagnostic test for autism. No defining physical test. No blood test, saliva test, urine test, brain scan, genetic assay. Q: How can that be? A: Autism is listed in the Diagnostic and Statistical Manual of Mental Disorders (DSM), the bible of the psychiatric profession. The definition of autism is basically a menu of behaviors. There is no defining diagnostic test. You’ll find, in the official lexicon, other names for various so-called “developmental neurological disorders,” too. And none of them in the DSM have defining diagnostic tests, either. Q: What are you driving at? Are you saying autism is some kind of illusion, that there is no damage or problem? A: Of course not. Of course there is damage. Q: So what is your point? A: If a parent applies to the US federal vaccine court, for compensation, because her child was severely damaged by a vaccine, and if she or her doctor calls that damage “autism,” there is almost no chance the government will award her compensation. A: Because the government is committed to saying, come hell or high water, vaccines don’t cause autism. But if that same parent says her child developed “encephalopathy”—a generalized term meaning a condition that adversely affects the structure or function of the brain—her chances of receiving compensation increase by a small percentage. Q: Even if she says a vaccine caused the encephalopathy? A: Yes. It’s all a word game, and if the parent doesn’t know how to play it, she’ll almost certainly lose. Q: If none of these neurological disease-labels in the DSM has a specific and defining diagnostic test, then why doesn’t the parent just tell the vaccine court, “My child’s brain was damaged by a vaccine”? A: Because the rules demand that she present evidence that the vaccine caused a known and officially accepted disease condition with a disease label. Q: But the truth is, the vaccine caused brain damage. A: Truth is not the goal of the government’s game. Q: Are you saying there is no such thing as autism? A: I’m saying there is no conclusive evidence for the existence of autism as a specific condition. Otherwise, there would be a defining diagnostic test for it, and there isn’t. There are various causes for neurological and brain damage. When a vaccine is the cause, it should be called VACCINE DAMAGE, and compensation should be awarded on that basis. Period. Stop the fiddling and game playing. Q: But the government doesn’t want to admit that vaccines cause severe damage. A: That’s why they play their word games. Q: What are some causes for neurological damage? A: A blow to the head, a fall, almost drowning in a pool, oxygen deprivation at birth, severe and long-term nutritional deficits, toxic pesticides, toxic medical drugs, vaccines. Q: Why are these and other causes hidden under fancy medical names? A: Because, for example, for each disease-name, drugs can be developed and sold. Q: What are some names for neurological disease or damage? A: Fragile X syndrome, Asperger, Rett syndrome; Childhood Disintegrative Disorder, Intellectual Disability, autism. Q: Are there overlaps of symptoms? Q: Is it possible that any of these could be caused by vaccines? A: The actual DAMAGE that is at the heart of these disease-labels could be caused by vaccines. Or other factors. Each child must be assessed uniquely. Q: You’re suggesting that, in a sane world, parents and doctors and government officials would call vaccine damage VACCINE DAMAGE, and forget all the rest of it. A: Neurological vaccine damage, yes. Because that’s what it is. You can say, “Well, we think this group of nerve cells is affected or that group is affected, or possibly this part of the brain is affected or that part,” but when a vaccine is the cause, it’s vaccine damage, plain and simple. Q: Any other medical tricks people should be aware of, relating to autism? A: Yes. Researchers can say they know vaccines don’t cause autism, because there are children diagnosed with autism who have never been vaccinated. That assertion is a hoax. The label and the definition of autism are worthless, to begin with, because there is no specific test that invariably diagnoses autism. Instead, as I keep saying, vaccine damage is real and it should be labeled as such. Then, there is no argument about what is and isn’t autism, or what does and doesn’t cause it. There is just naked straightforward truth. Q: But the doctor wouldn’t admit that. Q: Suppose he did admit that. Suppose all doctors admitted that. A: Then there would be a whole new world. Doctors would be tasked with trying to find out what caused the damage in each child. And in talking to a parent, who was there and saw the radical change in her child after vaccination, a doctor would realize that a vaccine was the cause. Q: It sounds like the government is leading a parent with a vaccine-damaged child into a blind alley with its vaccine court. Q: This is pure insanity. Q: Let me see if I can sum all this up. First, we have a meaningless label called “autism.” It’s meaningless because there are no defining diagnostic tests for autism. Therefore, there is no proof that autism is a specific condition, beyond the fact that a child has been neurologically damaged in some way. But most people, and the government, and the medical system, ALL BUY INTO THE IDEA THAT AUTISM IS REAL AND SPECIFIC…AND THEN THE GOVERNMENT TURNS AROUND AND SAYS: A PARENT WHO IS SEEKING COMPENSATION FOR VACCINE DAMAGE, ON THE BASIS THAT A VACCINE CAUSED HER CHILD TO “DEVELOP AUTISM,” WON’T BE COMPENSATED, BECAUSE THERE IS NO PROOF THAT ANY VACCINE CAUSES AUTISM. THE GOVERNMENT IS ESSENTIALLY SAYING: THERE IS NO PROOF A VACCINE CAN CAUSE A CONDITION WHICH HASN’T BEEN PROVEN TO EXIST. Q: This is even crazier than I thought it was. A: You can add in one more factor. There are parents with vaccine-damaged children, and these children have been diagnosed with autism. If you tell these parents there is no proof that autism exists, and their child simply has devastating neurological vaccine damage, they will protest. They’re caught in a situation they don’t fully understand, and they’re determined to hold on to the idea that their child “has autism.” They want that label to be applied to their child. For them, it provides an “explanation” for what happened to their child. They won’t let it go. And THEN, they will go to the federal vaccine court and ask for compensation, not realizing that if they use the word “autism,” that’s doom. The court will deny their claim. Q: It’s like being caught in a maze. A: That’s exactly what it is. This has been an unusual week for blogging. Normally, as most know, I schedule blogs on the Thursday or Friday preceding the week they appear. But this week has been unusual in many respects, not the least of which is because it has been very difficult to make a selection among the articles I have received. So, I’m “behind schedule”, but this one from Mr. G.F. caught my eye, and I decided to blog about it, because of another friend of mine. And I have to stop and tell this story about that friend, even though I do not like to engage in anecdotes or personal stories on this website: Monday morning, after being awake all night as usual, I received a phone call from that friend. I had been getting concerned, as I had not heard from him in a few weeks. Needless to say, I was worried. What had happened? He proceeded to inform me that he had been in the hospital for a couple of weeks, and had only been released about a week ago. What had happened? My friend, who had never taken a flu vaccine in his life, was persuaded to get one. He ended up collapsing at a sports event, ended up in an ICU on a respirator and in a coma… the reason? He had contracted the corona virus, a.k.a., SARS, a respiratory flu common to birds. He informed me his doctors had put him on a regime of “shock and awe” anti-biotics. Needless to say, there’s now a lawsuit from him, and from the hospital, against the manufacturer of the vaccine. His experience, I’m afraid, is not unique among those in my circle of friends and acquaintances. My own mother would always “get her flu shot,”… and end up tired and vaguely sick. Of course, the preceding article presents the usual spin we’ve come to expect from corporate controlled media: vaccines are “scientific” and opposing science and scientists are simply ignored or tossed aside. And perish the thought we rely on actual testimony such as my friend’s experience. Recall just a few weeks ago I blogged about a study that was based on hundreds of such stories that was presented in a paper to a major medical journal, accepted for publication… until, that is, big pharma stepped in and quashed the paper, and therewith, the science. Its objection? The paper was based on anecdotal stories and not hard research. I pointed out at the time that the patients’ stories are the basis on which, under normal circumstances, the diagnostic process begins. And at a certain point, stories of “my child was fine, then was vaccinated, and now she’s autistic” cease being a coincidence and start being a pattern. It’s that pattern that big pharma is fighting so hard to dispel through a variety of conjurations from discrete legal and medical grimoires. But in the end, it remains deception dressed in verbiage: I know what I see in those around me and what they experienced from their crud-filled vaccines. Then comes the “it’s not a significant statistical amount of the vaccinated population” argument. Readers of my and my co-author’s book Rotten to the (Common) Core will recognize this as the “statistics show” argument, so useful to the corporations behind standardized testing. It is, in effect, not only an argument from authority but a limited hangout: so what if a tiny minority react adversely to vaccines(or, in its standardized testing context, “so what if a few questions on a test are bad? It’s the overall Gestalt of the test that matters” &c &c). Vaccines are “still effective against the majority,” &c &c.
Notice that what’s avoided here is any real understanding of why that is so, and that means there’s no scientific search on for the explanation. To do that would be a huge admission that those statistics could change… and we don’t want that. The problem is: juries are not panels of “scientists” bought and paid for by big pharma. Now, I have no doubt that Mr. Kennedy’s skepticism toward vaccines is sincere. But let’s assume, just for the sake of argument, that it is not. Or let’s assume that big pharma will use other methods of pressure to get an “acceptable” result from the panel (and we all know with billions of dollars at stake, they’re perfectly capable of tossing articles and debate aside – after all, they’re already involved in the lobbying- story suppression business – and reaching into the “Bag of Very Dirty Tricks,” the blackmail control files, the wet works operators, and so on). The possibility arises that a government panel headed by a vaccine skeptic could issue a glowing report on the wonders of vaccines and the glories of Big Pharma. In that case, watch the pressure build for forced vaccination not as state policy, but national policy. Personal experience and anecdotes be damned. But my bet is, you’ll now see a campaign of “limited hangouts” by big pharma to buy time… and lawyer up.